It took 12 years of work, but "Mists: Charles Ives for Jazz Orchestra" arranged by U of M Jazz Director Jack Cooper, is now out on CD. 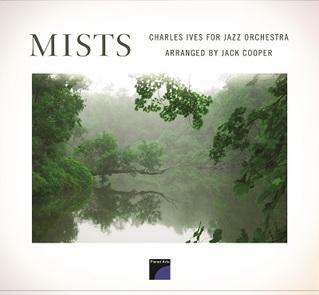 A conversation with Jack Cooper about the new CD "Mists: Charles Ives for Jazz Orchestra"
There may be no more idiosyncratically American composer than Charles Ives. University of Memphis Rudi E. Scheidt School of Music, Director of Jazz Studies Jack Cooper was exposed to Ives as a young child when his mother accompanied professional singers at their home in Southern California. In 1997, he arranged 3 of Ives vocal works for Jazz Orchestra, and subsequently continued to arrange the composer's works. This CD, recorded in one day after 12 years of preparation, represents a synthesis of two great American musical forms.